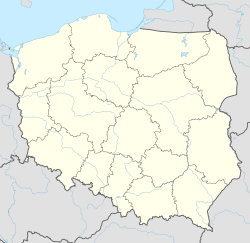 Rybki [ˈrɨpki] (German Röpke) is a village in the administrative district of Gmina Nowa Wieś Lęborska, within Lębork County, Pomeranian Voivodeship, in northern Poland. It lies approximately 7 kilometres (4 mi) south-east of Nowa Wieś Lęborska, 5 km (3 mi) south-east of Lębork, and 58 km (36 mi) west of the regional capital Gdańsk. This page was last edited on 27 March 2017, at 08:27 (UTC).